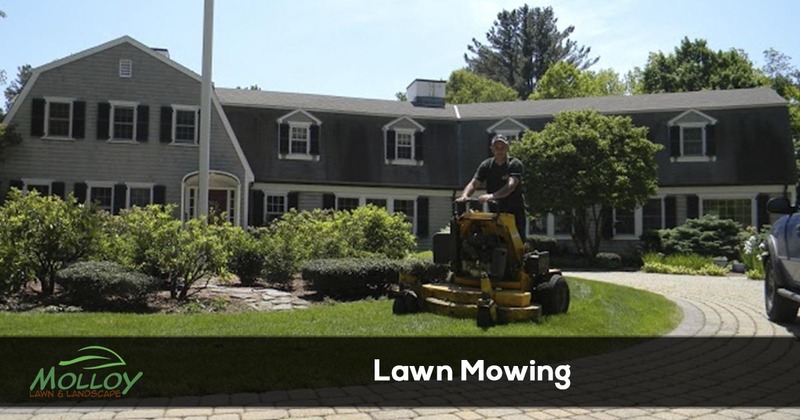 For the best lawn maintenance services in the area, you can count on Molloy Lawn & Landscape. We make getting a quote and scheduling your service easy! Services will be performed during the growing seasons from March through November of each year. When we maintain your lawn, all of our equipment is maintained so that it is in good working condition. Also when the lawn is cut it is at the optimal height so that it doesn’t burn and stays healthy. Customers with weeding contracts will receive weeding services with the regularly scheduled weekly maintenance. Seasonal Maintenance Program with the addition of gutter cleaning (spring and fall) and weekly weeding program. Molloy Lawn & Landscape can help you achieve an attractive landscape with colorful plant beds that look beautiful year-long. All you need is one of our customized bed maintenance plans. Our professionals will weed, prune, fertilize, mulch, and perform all the detail work so you don't have to. We're on call for one-time seasonal cleanups, or consistent scheduled bed care.